Need a tow or emergency help on the road? You’re in the right place. Simply tap (if using a mobile phone) on the button above or give us a call for immediate assistance in the Parker, CO area. If you’re not quite ready to get in touch and want to learn about our 24-hour services, feel free to read on. If you read long enough we will prove to you that we are the best tow truck company this side of Colorado’s Rocky Mountains. What’s great about our service is that we’re fully licensed and insured. Our tow truck drivers and roadside technicians are highly qualified and experienced – not to mention professional and friendly. Even better, we understand that problems on the roadway almost always require immediate action on our part. To minimize the stop that you may be stranded, we aim to get to you as quickly as possible so that you can get on with your day. 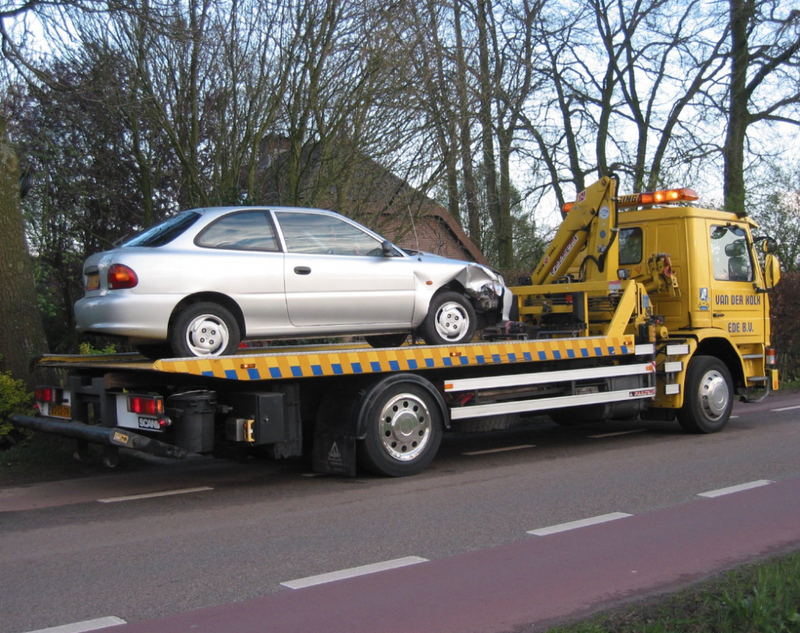 Call our Parker tow truck service today for fast, efficient and affordable towing and roadside assistance throughout the southeast Denver area – including Highlands Ranch, Foxfield, Stonegate, Centennial, Cottonwood, Dove Valley, and Lone Tree. Emergencies can happen at any time, and to anyone on the road. We know this all too well. That’s why we provide 24/7 around the clock roadside services – even on weekends and holidays. It doesn’t matter the time of day, your location (busy expressway or back road), or day of the week … we can help with pull out towing and wrecker service, accident recovery, flat tires, battery jump starts, lockout assistance, and more. Due to our sometimes slick road conditions, busy expressways and streets, and mountainous terrain, vehicle accidents are bound to happen from time to time. In those instances, we deliver safe, careful, and dedicated help. Accidents often leave cars, trucks, jeeps and SUVs in a state where they cannot be safely driven. Regardless of the type of vehicle or its size, our drivers have the knowledge and skill to tow it to a repair shop, your home, or another location of your choice. In some cases, a flatbed truck is required over a dolly tow. 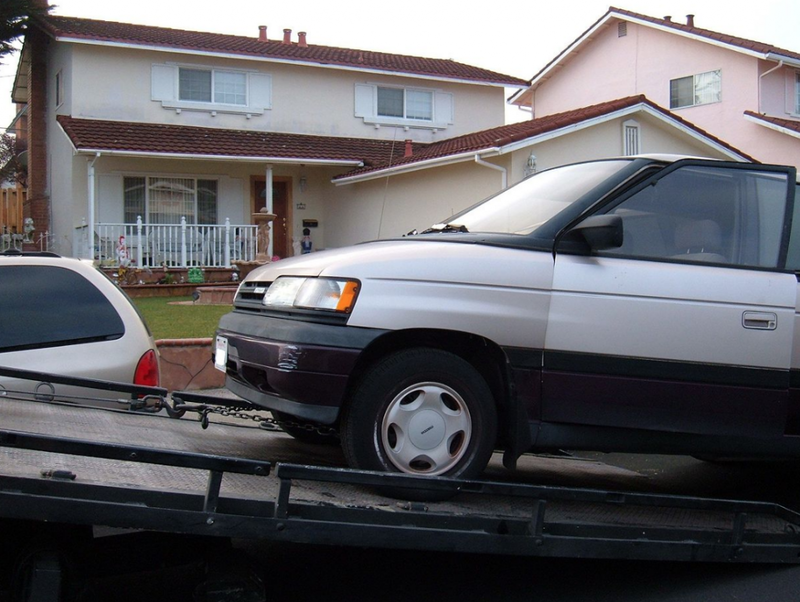 The most common circumstance is when a vehicle needs to be towed long distance. We own modern flatbeds that prevent damage and keeps cars safe during lengthy transports. We are licensed to tow all types of vehicles as well as classic and vintage cars throughout the state of Colorado and the Rocky Mountain region and the rest of the United States. All it takes a slippery sheet of ice or a wet surface to fly off the road into a ditch or creek bed. When this happens to best tool to pull a vehicle out is a good old dependable tow truck. We have the up to date equipment and know how to successfully pull and winch vehicles safely and securely without causing more damage to the car. Hopefully, the vehicle is in a condition that it can still be driven. If not, we can tow it to the nearest repair shop or destination of your liking. It’s not uncommon for semis, tractor trailers and other large trucks and vehicles to slide off the road or be involved in the accident in our nearby mountains. In those instances, we use our largest dependable tow trucks for pull outs and transportation that is fast. We also are fully capable of towing farm equipment, buses, all-terrain vehicles (ATVs), construction equipment and more at low rates. In addition to heavy duty vehicles, we also carefully tow all types of cars, trucks, sport utility vehicles (SUVs), motorcycles, vintage cars, classic cars, antique are sports cars. We employ tow operators who are intensely trained and experienced in transporting out-of-the-ordinary vehicles. Call us ahead of time for a free and accurate estimate – with no hidden fees. We remove unwanted vehicles from public places and private residences at the cost of the owner. If a car has been left in your driveway, parking lot, or at your rental property or commercial business for days or longer, contact us for towing removal. We provide service at shopping malls and centers, office building parking lots, construction sites, private and public schools, vacant and abandoned homes, rental apartments, private homes, street parking, and more. We pay cash for old cars that no longer run or are beyond repair. We also tow them away for free. It doesn’t matter what year, condition or type of vehicle it is. We want the parts. We’ll help you get rid of the car fast and remove dangers such as broken glass and rusty metal parts of the car to keep you and those nearby safe from danger. Issues are bound to happen during local and long-distance travel on occasion. Even for those who are most prepared for trips and commutes will experience a flat tire, dead battery, or run out of gas. We’re always available to assist you in those emergencies. We deliver trusted and affordable 24/7 battery jump starts, tire changes, fuel delivery, lockout assistance, windshield and glass repair and replacement, engine repairs, and accident recovery services. We recognize that you have several options when it comes to choosing a towing service in Parker, CO. We even admit that a few of our competitors do pretty good work and have decent reviews on Google, Yelp and Facebook. Time matters to us a lot. Our goal is to get to you within an hour and hopefully sooner – regardless of your location southeast of Denver. Once we’ve reached you, efficiency in getting you back on the road or to your destination quickly is a top priority. Our rates are low. Most of us don’t budget for roadway emergencies. Acknowledging this, we offer affordable service that won’t drain your bank account, wallet or purse. Our employees are professional and friendly. In addition to being highly qualified, our tow truck drivers and roadside employees are intensely trained and have passed all required background checks. We stay in contact. Throughout the process – from the time you call for service until the job is done – we keep you updated of our progress and provide all the details you need. We’re safe. We use modern and durable trucks and equipment to go along with drivers and technicians that use caution and make it the most important priority to keep you and yours from dangers of our roads, streets, and expressways. If you ever forget where you found us, simply visit Google and punch in “tow truck service Parker, CO” or “best towing near me” and you’ll spot us near the top of the list. You can also FIND US in other places online!